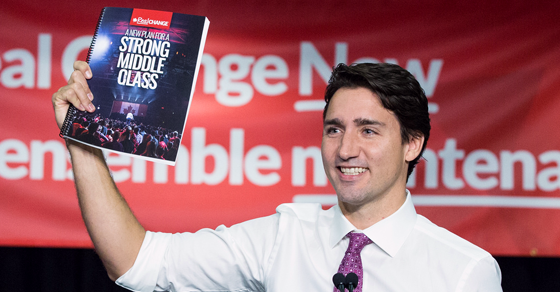 As announced in Friday’s Speech from the Throne, Prime Minister Justin Trudeau plans to make the so-called “middle class tax cut” his new Liberal government’s first order of business. 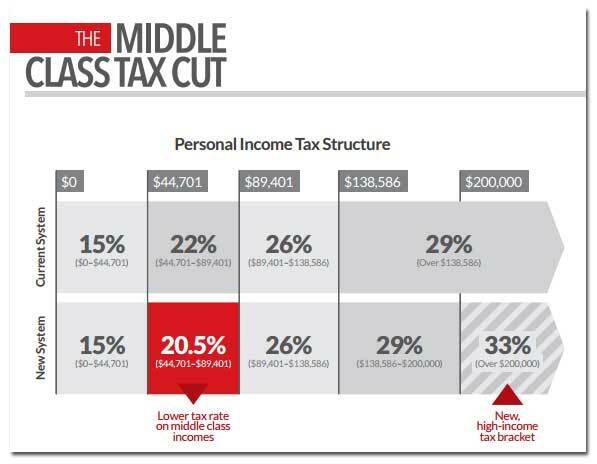 But digging deeper into the proposed tax reforms, is it accurate to say this truly benefits the “middle class”? The Liberals’ proposed tax reforms will make no changes to the tax rate for the lowest and top two tax brackets. It does, however, lower the tax rate for the second lowest bracket (from 22% to 20.5%) and creates a new “high-income tax bracket” for those earning over $200,000 (taxed at a new rate of 33%). In other words, only one-in-three Canadians earn enough to even qualify for the “middle class tax cut” in the first place. Despite being described as a tax cut that benefits the “middle class,” Canada’s wealthiest 10% will receive half of all the benefits. Why? Canada’s income tax system is structured so you pay different tax rates on different levels of earnings (for example, 15% on the first $44,701, 20.5% on the next $44,700, 26% on the next $49,185 and so on). So, even if a taxpayer’s total taxable income is $199,000, they get a tax cut on what they earn between $44,701 and $89,401 too. “Fully one half of the $3 billion in savings flowing from the ‘middle class’ tax cut will in fact go to the top 10% of individual tax filers who had taxable incomes of more than $89,200 in 2012. Beneficiaries include the top 1% with incomes of more than $222,000, though this elite group will face a new top tax rate of 33%, up from 29% today. Which begs another question: are the wealthiest 10% truly “middle class”? Yet the Liberals estimate what new revenue is generated by raising taxes on wealthy Canadians ($3 billion) will be offset by the $3 billion cost of the new “middle class” tax cut (with $1.5 billion alone going to the wealthiest 10% of Canadians). The biggest thing Harper accomplished was “just shrinking the size of government and doing so by reducing the tax base,” University of Saskatchewan political science professor David McGrane said after the election. After Harper reduced Canada’s revenue streams by $43 billion each year, new revenues could be put to work by investing in programs aimed at the ballooning costs of child care, postsecondary tuitions or prescription drugs, all of which could go a long way to improving the quality and affordability of life for Canada’s middle class. 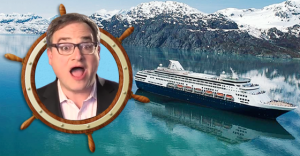 Liberal Minister’s new Chief of Staff was a speaker on Ezra Levant’s ‘climate skeptic’ boat cruise? The new Chief of Staff to Canada's Minister of Natural Resources used to be the head of communications for the oil industry's lobby group? Wait – this can’t possibly be right? The new Chief of Staff to Canada’s Minister of Natural Resources used to be the head of communications for the oil industry’s lobby group?